Treat Yourself This Holiday Season With A Short Holiday Tour Package! With the holiday season fast approaching, do you think that things around you are getting a little overwhelming? Seeking a break from the general merry-making, shopping and visiting friends and relatives? Booking an assorted tour package for a sneak-away trip can then be your ideal way to unwrap the magic of the holiday season! Exploring the unrivalled beauty of the eastern and north-eastern India can be the ideal way to embrace the glory of Mother Nature. Be it the orchid-bedecked Sikkim, the majestic Tiger Hills in Darjeeling, the wildlife in Sundarban or the foothills of Dooars, a good tour package can offer you the perfect retreat. Every day in these parts of India can be a new discovery altogether! Read on to know more about the popular holiday tour packages! 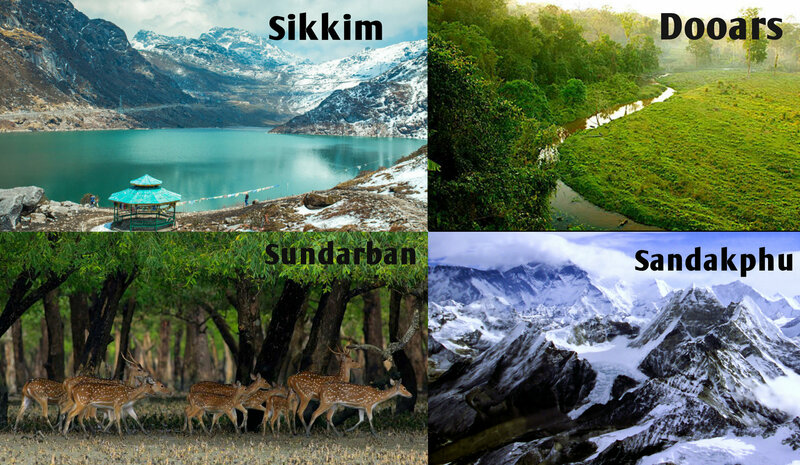 Sikkim, Dooars Or Sundarban Tour Package - What Should You Opt For? Opt for a comprehensive North Sikkim Tour Package and explore some spectacular landscapes, rich flora and fauna and the diverse culture of this beautiful state. By choosing the right package, you can drive to the highest mountain passes, go for treks and visit various religious places too. The state even acts as a heaven for naturalists and adventure enthusiasts. Going on a trip to Sikkim can thus be the ideal way to experience complete rejuvenation. Popularly regarded as the “Queen of Hills”, Darjeeling is one of the most sought after hill stations all over the world. Declared as a UNESCO World Heritage Site, toy trains still run here. Be it the beautiful tea plantations, the monasteries, villages or the markets, Darjeeling has something to offer for all types of tourists. While walking through the numerous interconnected hilly lanes, you can even come across cottages and grand mansions of the British period. If you are an adventure lover, visiting Sandakphu can be your ultimate way to discover the intrepid regions of the mighty Himalayas. The highest peak in West Bengal and Nepal, Sandakphu offers pristine views of the beautiful Kanchenjunga Range. Moreover, the grand vistas of the Everest range and Kanchenjunga range make trekkers enjoy trekking along the trails of Singalila Ridge to Sandakphu and Phalut in the Eastern Himalayas. A trip to Sandakphu can thus be thrilling, exciting and memorable. Home to the Royal Bengal Tigers, Sundarban hosts the largest mangrove forests all over the world. The place has a mystical charm which attracts thousands of tourists from various parts of the world. Opting for an assorted Sundarban tour package can thus be a great way to make the most of your holidays amidst lush green mangrove forest, salty river bed and rich biological diversity. Considered as India’s gateway to the neighbouring country of Bhutan, Dooars are the foothills of the Eastern Himalayan ranges. The beauty of this region lies in the wildlife sanctuary, tea gardens and the dense jungle. You can visit some popular national parks and wildlife sanctuaries like Gorumara National Park, Jaldapara National Park, Chapramari Wildlife Reserve and Buxa National Park. Now that you are aware of the top tourist destinations, what are you still waiting for? Time to make the most of your holiday season by opting for a good tour package!